Image caption Midge Ure called Walker "the man with the mahogany voice"
The death of Scott Walker has prompted a host of tributes from his fellow musicians, among them Radiohead's Thom Yorke and Mani from the Stone Roses. Yorke said he was "so very sad" to hear of Walker's passing, saying he had been "a huge influence". "There's another one of the greats gone," wrote Gary Mounfield, aka Mani, saying he deserved the accolade genius. Soft Cell's Mark Almond, meanwhile, said he had modelled his own look on the late singer's. Wendy Smith, formerly of Prefab Sprout, said the death of "one of the most significant singer-songwriters of our era" was "another huge loss to music". Poet Ian McMillan eloquently said Walker had had an "unforgettable" voice, "like a cathedral lit by a sunset." Midge Ure of Ultravox also praised the way the singer sounded, describing him as "the man with the mahogany voice". The BPI, the trade association representing the British Phonographic Industry, said Walker had been "a maverick explorer who never stopped trying to climb his own artistic Everest." Disc jockey Mike Read said Walker was his "all-time favourite singer", writing that he was "torn apart" by the news of his death. 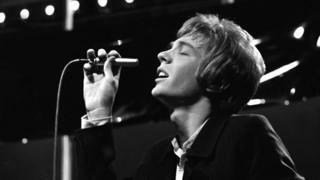 Fellow DJ Steve Penk also expressed sadness, calling Walker's "one of the most recognisable and iconic singing voices of the 1960's." Labour's deputy leader Tom Watson was among others to pay tribute, remembering Walker as "one of the most original and stylish music makers of his generation."